You are normally required to make a manual payment if your services are not set up for automatic payments or you may need to make a one-off card payment outside your normal monthly service. This is normally signposted as an outstanding payment. 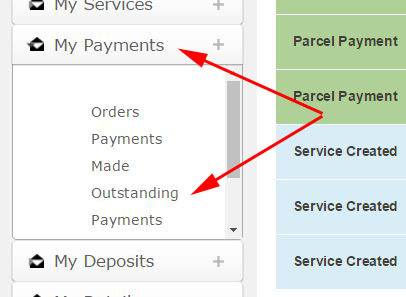 Next, you should see the Outstanding Payments page. Once the payment is successful, a confirmation along with the paid invoice will be sent to you via email.